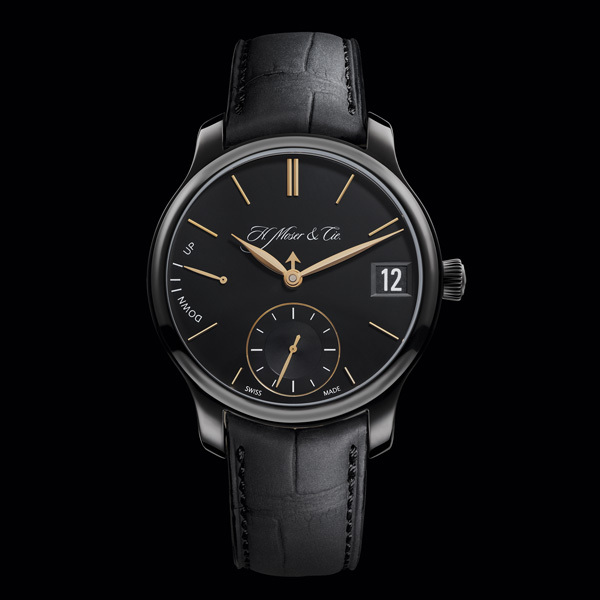 With the Perpetual Calendar Black Edition, H. Moser & Cie. ventures into new territory. 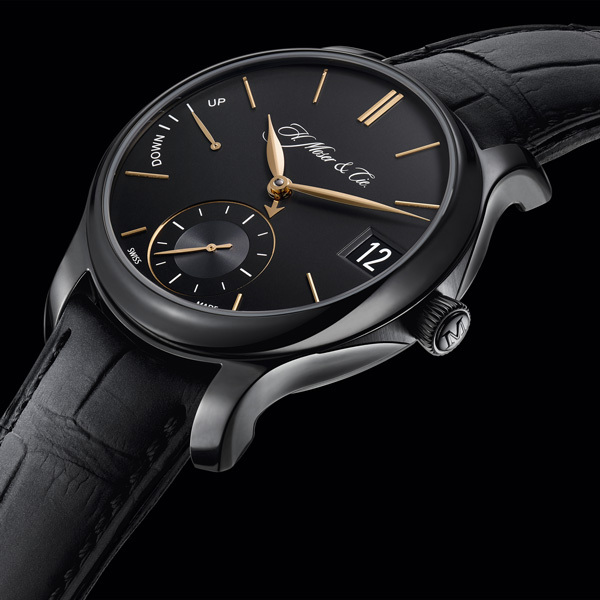 The burnished glow of the Perpetual Calendar Black Edition hints at the material within: the case and pin-buckle clasp are titanium with a DLC treatment. Even the extrusions of the Moser “M” on the crown are purely etched from this hard metal and finished immaculately. 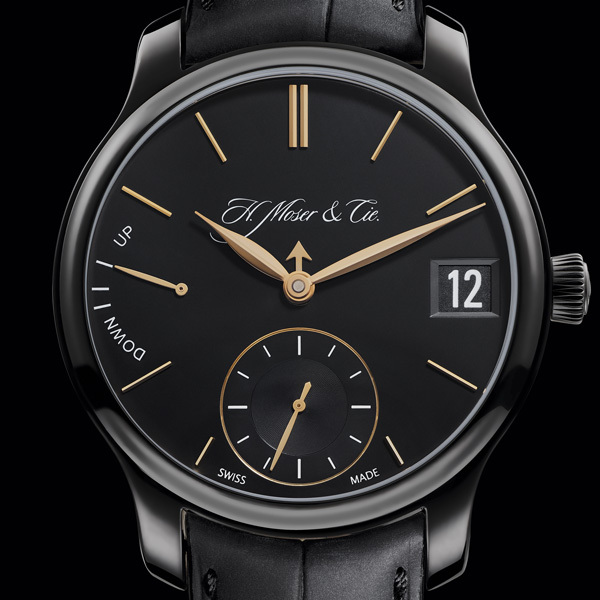 The dial’s black surface is punctuated by rose gold indices and hands, enhancing both the timeless character of the watch and the legibility. The off-centre seconds dial reveals impeccable gold accents, marking time with a hacking seconds function. 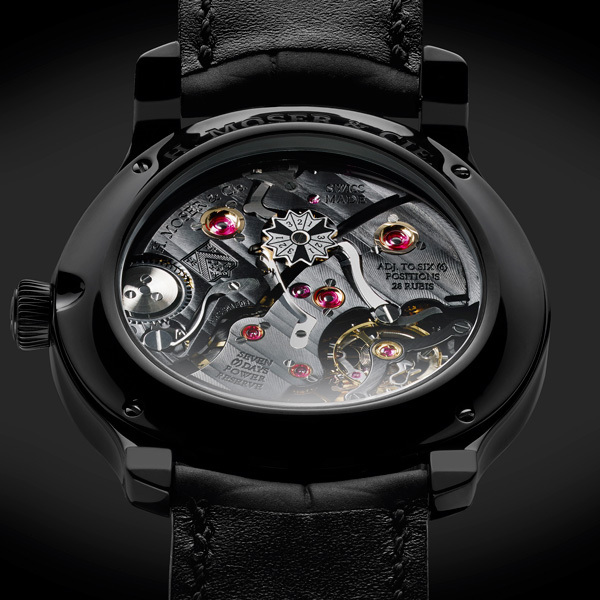 The matte black finish on the movement includes a blackened escapement bridge that lets the Moser escapement gleam from within. The mood is continued by the extreme matte finish of the carbon-coated alligator leather band.